Go before they start automating their ferris wheels! Go before they start automating their ferris wheels, they are currently manually spun by spiderman type guys running around it like a hamster wheel. 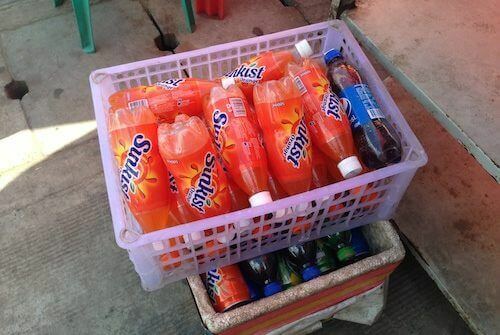 Reunite with old skool favourite Sunkist fizzy orange drink! Thought you wouldn’t see it again after 1998! Its here! I got quite addicted to the orange stuff, great as a Gatorade substitute when feeling dehydrated. To do a homestay in Kalaw before they finish building the new hostel/hotel shack. There will be no more interaction with the locals – not that there was that much anyway – but there is something special about staying in someone’s house, living how they live even for just a day, seeing how different it is, using a shower outside with just a 4ft wall to cover (or not cover) your modesty. 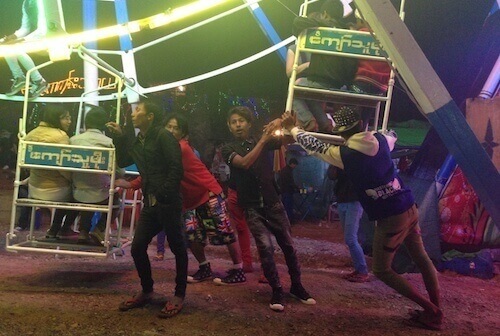 Go before health and safety inspectors get to Taunggyi Balloon Festival and you can be a part of the madness (in all seriousness though, be careful, it’s legit dangerous). 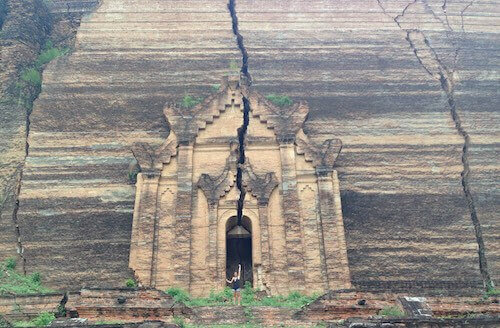 Talking of health and safety, there is a giant pagoda about to fall down in a town near Mandalay called Mingun, you can climb on top of for excellent views of the famous Irrawaddy River and see Monks taking selfies. 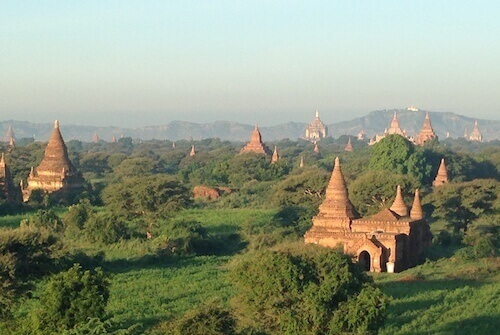 Visit Myanmar while you can still find a pagoda or temple to yourself in Bagan. This ‘secret’ (edit: not a secret at all anymore!) won’t last long and already seems to be heading the same way as Ankor Wat, Taj Mahal etc with the huge of crowds everywhere. 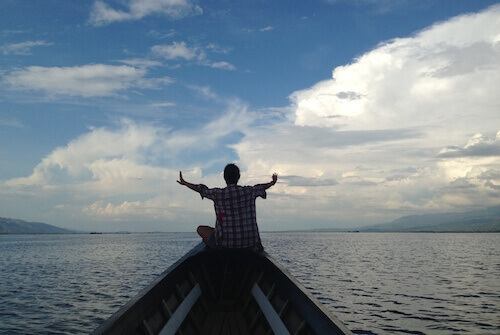 Go to enjoy the tranquillity in the middle of Inle Lake before they build a Novotel there and all the real locals have been bought out with only fake fishermen left over. 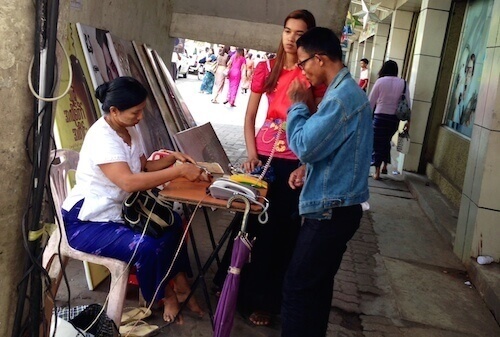 To use a ‘public telephone’ before the mobile network giants move in. 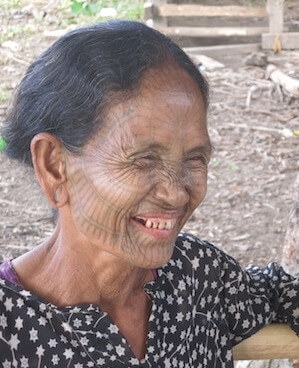 Another reason to visit Myanmar now is to see the tattooed faces of the Chin Women and hear their amazing stories before they are no longer around, which might be within in the next decade! They are pretty old and this tradition of tattooing faces stopped about 70 years ago so they are the last of their kind. 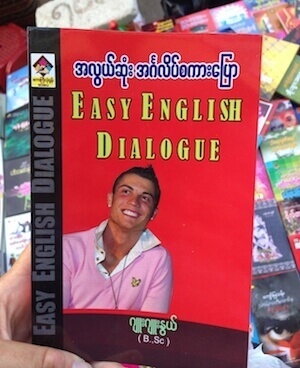 Ronaldo (yes the footballer) teaching you how to read and speak Burmese language! (see above). There were many books like this in the endless amount of bookstalls we came across.